Dr. Carter received his Ph.D. in Ecology with distinction from the Odum School of Ecology at the University of Georgia (UGA) and completed his B.S. in Ecology and Evolutionary Biology from the University of Tennessee, Knoxville. 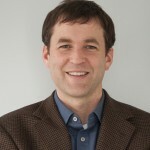 As a post-doc and faculty member at UGA his work focused on the intersection between urbanization and environmental management through studies of designer ecosystems, sustainable development, environmental policy, and climate change impacts on coastal areas, including visualizing sea level rise on the Georgia coast. In addition, Dr. Carter developed a sustainability plan for the school. As the founding Director of Butler University’s Center for Urban Ecology (CUE), Dr. Carter built the CUE from a fledgling unit with two interns and a program manager to a thriving academic center with over $3M in externally funded initiatives. Through partnerships Carter developed across the city of Indianapolis, as well as through his work with staff, faculty, students, and leadership at the university, the Center became not only a successful place for the study of ecology but also a participant in increasing the sustainability of the city and campus. CUE projects include collaborative installations between artists and scientists for informal science learning, creation of a community currency to encourage urban watershed conservation action, and the use of mobile device technology as an engagement strategy for residents of the city. The CUE also led efforts to develop Butler’s climate strategy including signing the ACUPCC, developing Butler’s Climate Action Plan, and hiring Butler’s first sustainability officer. Tim is married to Katy and has three children.